We keep water flowing for families and business just like yours! Please contact us for additional referral information. Vidal Plumbing gave us top quality service at affordable prices for our addiction recovery facility. The owner of the company, Mr. Vidal truly met the urgency of our needs and we recommend the company to anyone looking for a solution to a plumbing problem. No job is too big or small for Vidal! 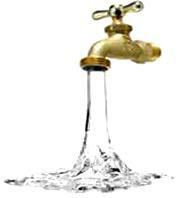 Vidal Plumbing has helped us solve both big AND small plumbing issues. Vidal Plumbing provides the best customer service! Very responsive, trustworthy and professional. We appreciate the advice and the patience Vidal provided during the remodeling of our bathroom. We trust his guidance for when it is okay to fix something and when it is time to replace it. Thank you for providing a great service! OMG!!! I hear water running. What could it be? All the sinks, the dishwasher etc., are all off, no leaks... so I call the water company. They figure it out, then leave, followed by a letter that comes in the mail - the line from the street to my house is leaking. They are giving me 10 days to fix it or off with my water. I called several plumbers got quotes all over the place. One guy I called out of the phone book was Vidal. Vidal has the biggest smile in the world. He was the only guy who seemed to have a personality and did not moan about what a huge PITA job this was - so we hired him. After a long day, we had a new copper water line replacing the lead line installed in the 1950's. Vidal did several tricks he explained to save money - he explained what the choices and the pros and cons were. Vidal and his helpers were polite and just nice guys. I give him 100%. In this fast paced world, it is often difficult to find a contractor who is reliable, competent and treats his customers as he would like to be treated. My wife and I were fortunate to have met such a contractor, Mr. Vidal several years ago. -- On one winter day, our house heater was not operating properly. Because our heater was under contract with P.G.W., we called them to arrange for a technician to come and diagnose our problem. They told us it would take a couple of days because of the number of calls they had received!! We decided to call "Vidal Plumbing." After explaining our situation to Mr. Vidal, he made an arrangement to come by that day. He examined the heater, told us what was wrong and what it would cost to repair it. We agreed to hire him and we had heat that day!!! -- Subsequently, we have contracted "Vidal Plumbing" to handle various plumbing and heating problems, all completed to our satisfaction. We have also referred him to family and friends who have been greatly satisfied with his professional service and fair prices.